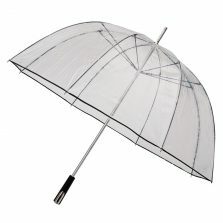 Stay dry and see where you’re going with one of these super, stylish PVC see through Vision dome umbrellas. The dome shape comes down over your shoulders for even more protection. The Vision Dome Clear White Umbrella / White Trim. 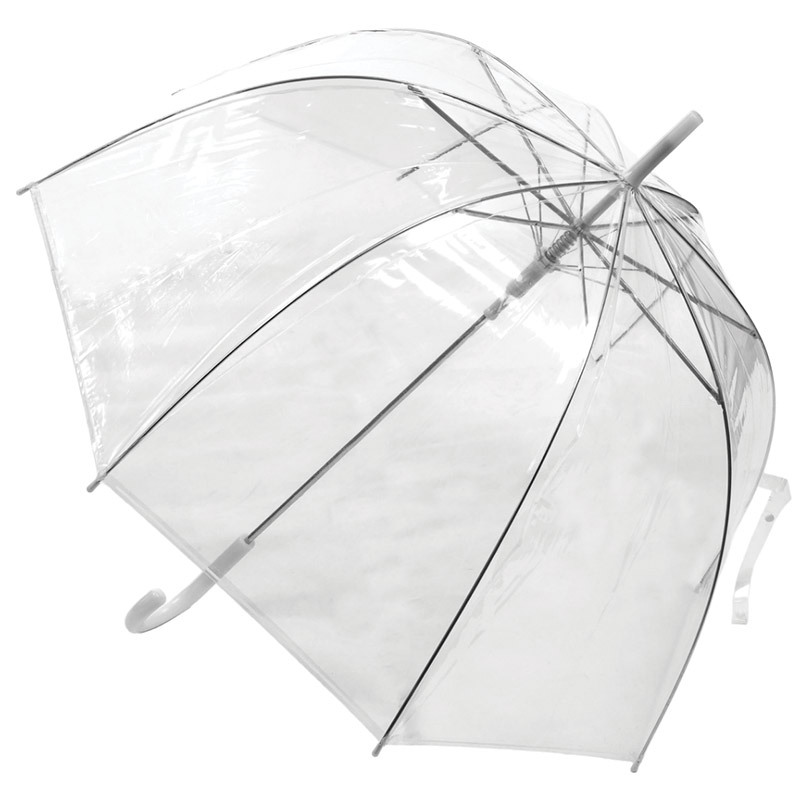 This dome shape clear white umbrella comes down over your shoulders for even more protection. There are many clear dome umbrella manufacturers and many dome umbrellas available on the market these days as the popularity of the dome canopy style of umbrella has grown over the last 5 years or so. 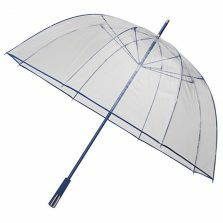 We have designed our Vision dome clear white umbrella as a premium quality dome umbrella, certainly not one of those cheap and nasty dome umbrellas that break in the first gust of wind. This smart see through clear white umbrella has a matching white canopy trim, crook handle, strong, light, flexible fibreglass frame and ribs. Canopy width is 80 cm, length 90 cm. So, if you’re looking at see through dome umbrellas but you want a good quality PVC dome clear white umbrella then this has to be a contender. N.B. You might find that your new see through umbrella looks dusty when you receive it. This is normal – it does not constitute a fault. To avoid the material sticking to itself during transport, clear umbrellas are often dusted with a very fine talcum powder. This will simply wipe off with a damp cloth, leaving your umbrella clean, clear and ready for use. 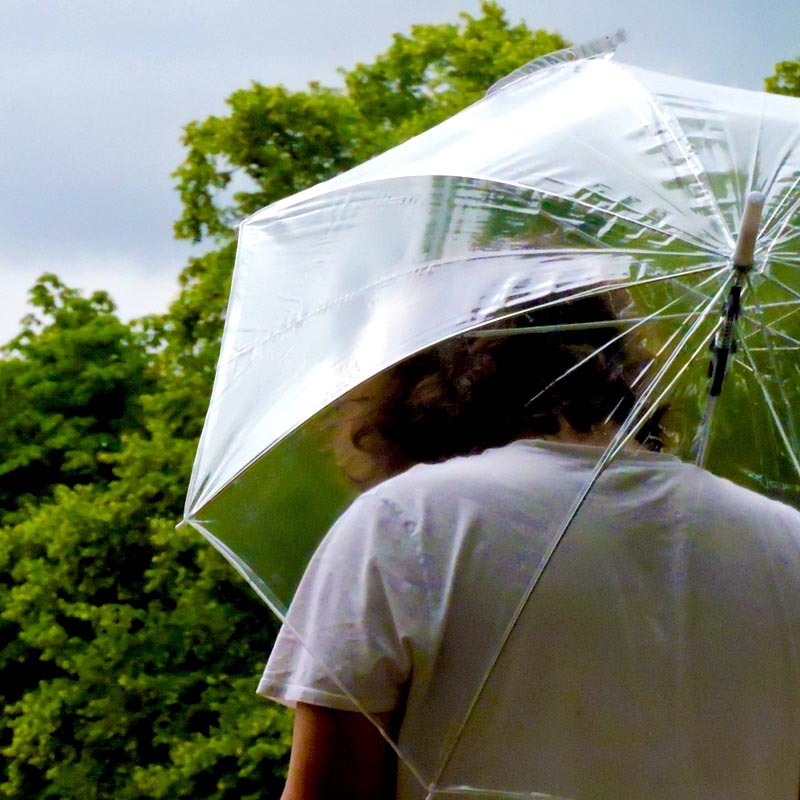 Not the right dome umbrella for you? 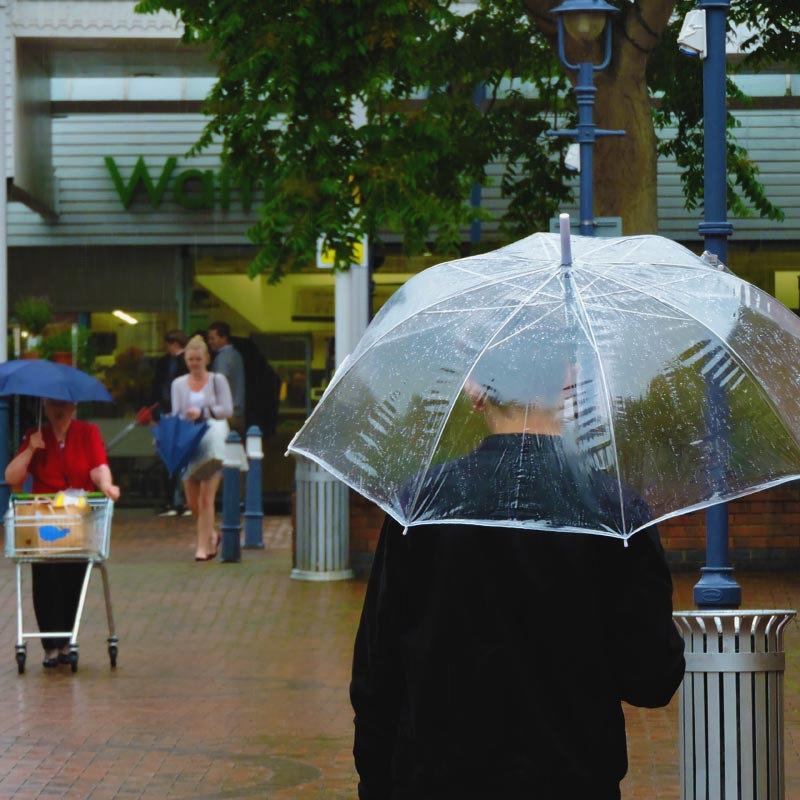 Check out the rest of our range of quality clear dome umbrellas!